It can be argued that Jacksonville is a city that has lost much of its historical identity over the years, due to untimely demolition of unique parts of its urban fabric. Here's six culturally significant downtown buildings that should have never been allowed to be demolished. Take a look and let us know if agree or if there are others you might suggest. 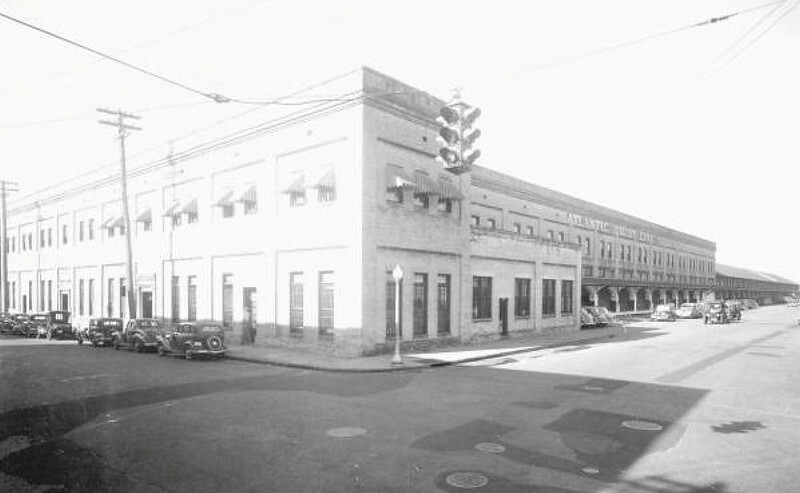 This image captures the offices of the Atlantic & East Coast Terminal Company’s freight depot at the intersection of Jefferson and Forsyth Street. 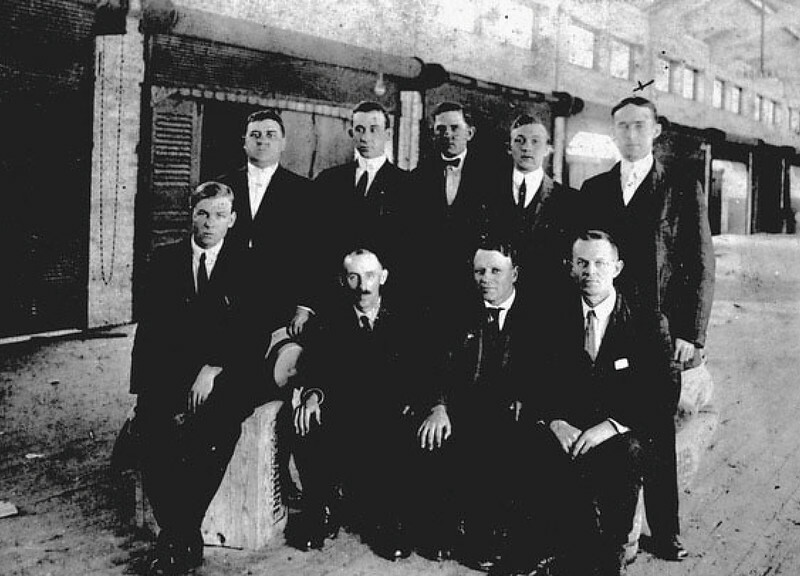 The photograph below captures a portrait of Florida East Coast Railway staff, taken inside the freight depot. Standing on the left is John W. Martin. Martin would become 24th Governor of Florida, in office from 1925 to 1929. 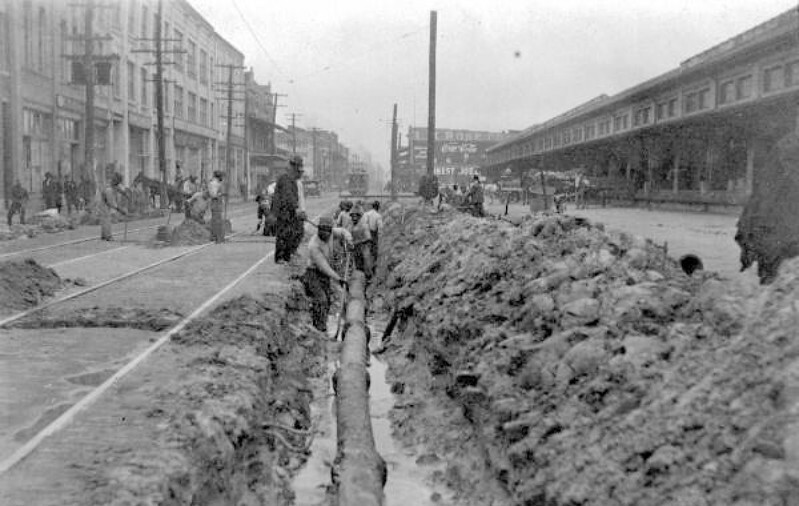 Completed in 1910 and anchoring LaVilla’s once vibrant Railroad Row District, this three-block-long structure was demolished in 1979 following a relocation of its operations. 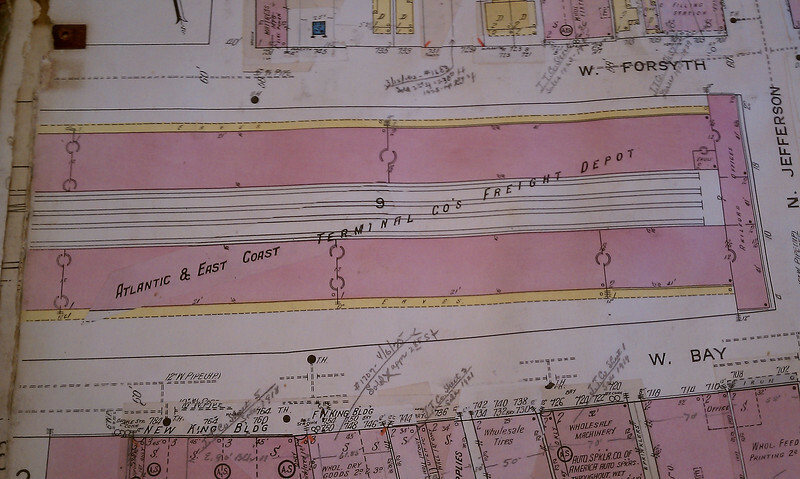 Jointly owned by the Atlantic Coast Line and the Florida East Coast railroads, this freight depot also included 1.48 miles of trackage, just north of West Bay Street and in the center of Houston Street between Myrtle Avenue and Jefferson Street. If it had remained, it would have been the perfect facility for a use like a public market within walking vicinity of the heart of the Northbank. Similar structures in Savannah and Charleston have been preserved and converted into tourist centers and educational facilities for the Savannah College of Art & Design (SCAD). 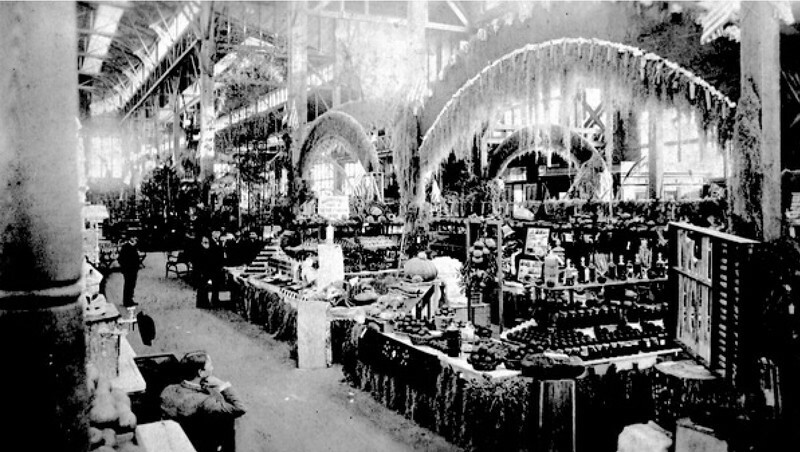 Developed to lure tourists to Florida, the Sub-Tropical Exposition was one of the most spectacular structures ever built in the city. Built in Waterworks Park between downtown and Springfield, the enormous hall was designed by a local firm owned by Alfred McClure and Robert Ellis, called Ellis & McClure. 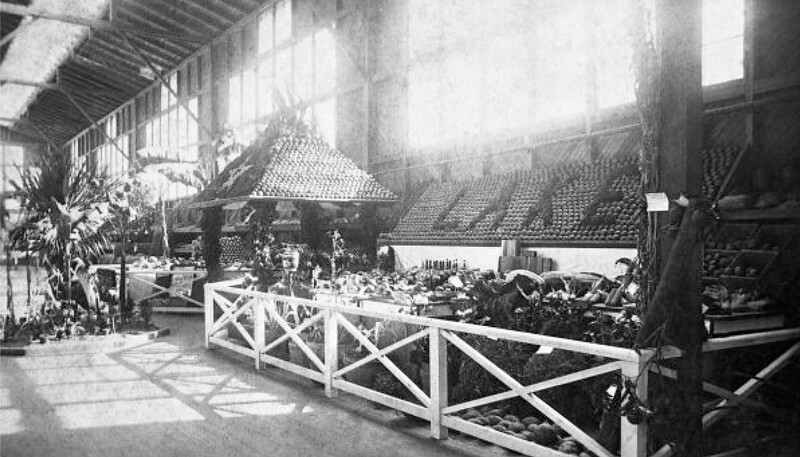 The Sub-Tropical Exposition opened its doors to the public on January 12, 1888. Famed guests included President Grover Cleveland, Frederick Douglass, and railroad magnate Henry Plant. Perhaps impressed, Plant opened an elaborate Moorish Revival building of his own, the Tampa Bay Hotel, in 1891. 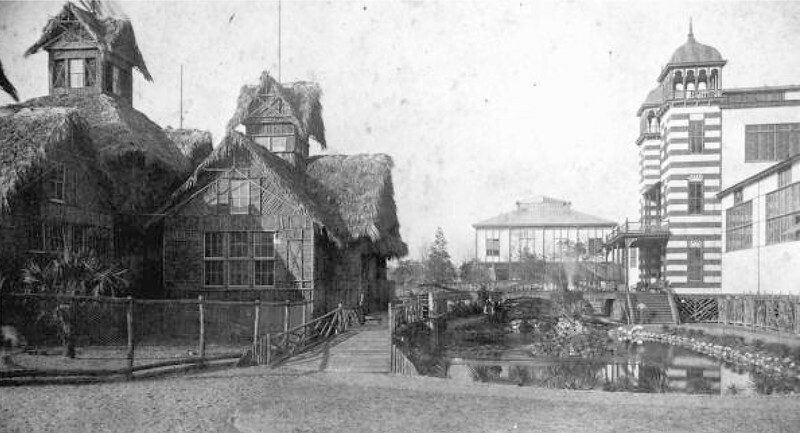 Rising 100 feet above Main Street and topped by towers and minarets, it contained an electrically-lit fountain of stone and coral with a pond containing rare fish, a Seminole Indian camp, displays of Florida products, an art gallery, two artificial lakes, and a zoo. Other exhibits included products from the Bahamas, Mexico, West Indies, and Central America. While it opened to great fanfare, a yellow fever outbreak the same year hampered its ability to draw tourists to the city. 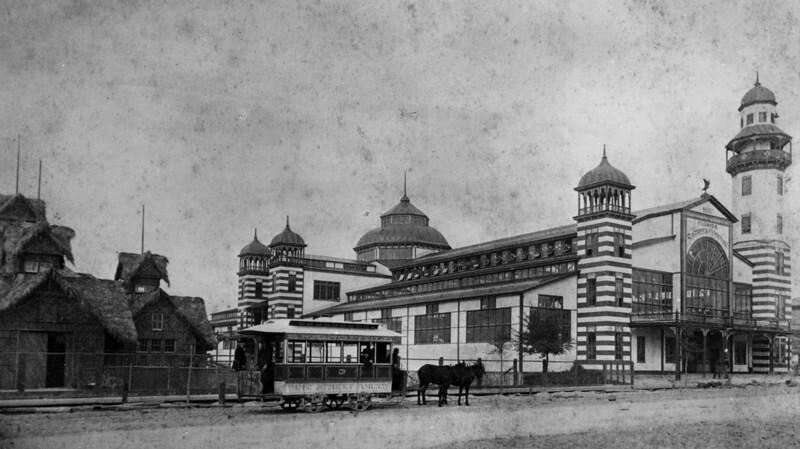 The Sub-Tropical Exposition never reopened after a fire damaged the structure in 1891. In 1897, the building was torn down to make way for a new reservoir.